Taking the reins of the family business is always a risky proposition, marked by unique challenges but also incomparable rewards. Meet five fresh-faced entrepreneurs who are catapulting their parents’ ventures to the next level—one bold idea at a time. 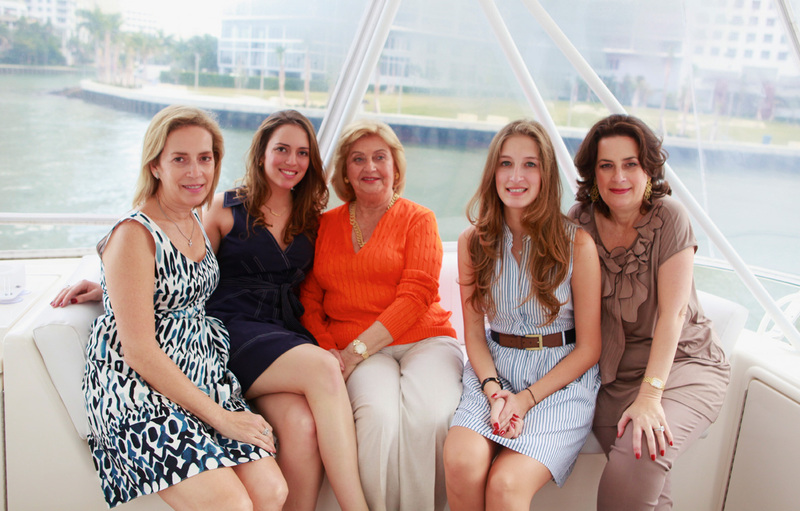 Cervera Real Estate’s founder and chair, Alicia Cervera Sr. (center), and her daughters, Veronica Cervera Goeseke (far left), CEO, and Alicia Cervera Lamadrid (far right), managing partner, are legendary in Miami’s real-estate scene. After Veronica Cervera Goeseke purchased the first computer for Cervera Real Estate in the late ’80s, a company founded by her mother Alicia Cervera Sr., her mother was quick to ask for her typewriter’s whereabouts. She couldn’t believe that her daughter spent $3,000 for the machine. Today, Cervera Goeseke, 56, and her sister, Alicia Cervera Lamadrid, 53, are among an exciting wave of second-generation family business owners pushing to take their parents’ ventures into the 21st century through innovative strategies, products, and practices. But, as fulfilling as inheriting a family business can be, it also presents unique challenges. Familial tensions can arise as second-generation leaders take the helm of companies started by their parents, aiming to strike a delicate balance between preserving tradition and evolving with the changing times. Cervera Goeseke took over as CEO of Cervera Real Estate about five years ago, and sister Cervera Lamadrid became managing partner in 2011. Their mother, now 81, founded the firm in 1969 and created a specialization within the real-estate field in the 1970s by representing developers on an exclusive basis. While the first computer came as a shock to their mother, known as the “Queen of Brickell,” the sisters have introduced additional technology to take the company into the 21st century. “We just installed a whole new accounting program that automates everything from the day you start the transaction to the day you close the transaction, which is very important as our company has grown,” Cervera Lamadrid says. Cervera Sr. remains active in the company to this day, and works with the new technologies and innovations her daughters are introducing to the company. In addition, the sisters have incorporated more e-marketing and social-media elements into their marketing strategy, including boosting the firm’s presence on Facebook, Twitter, and Foursquare, Cervera Goeseke says. “One lesson that mother has always ingrained in us is that in order to keep on growing, you’ve got to keep on moving,” she says. 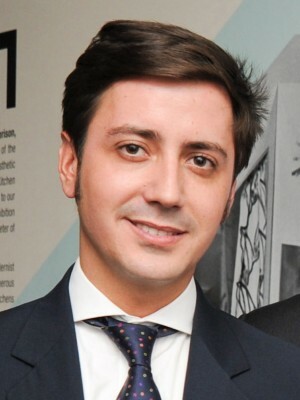 Roberto Miquel bought into his father, Carlos Calderon’s, company in 2004. Today, the company was able to avoid downsizing due to Miquel’s push to diversify the business with shuttles, buses, and limos. During the recent economic recession, Miquel felt that diversifying the company’s business lines could help C&S Executive Transportation survive, especially when its corporate customer base was hit so badly. His plan worked. “Getting into the bus business allowed us to get shuttle contracts with churches and also schools, generating significant new revenue for the company,” Miquel says. “Today, we have six buses in our fleet.” During the peak of the recession, the company was able to keep business steady and even experienced some growth because the bus contracts balanced the loss of revenue from corporate clients. The company was able to avoid downsizing due to diversifying into shuttles, buses, and limos. Ernesto S. Aviñó Sr. founds Marmol Export, USA in 1985. Taking the company reins in 2002, Ernesto L. Aviñó Jr.’s efforts to incorporate digital takeoffs allowed the staff to do construction takeoffs in half the time. Similarly, to the Cervera sisters and Miquel, Ernesto Aviñó had plenty of fresh ideas for helping lead his father’s company, Marmol Export, USA, when he joined as executive vice president in 2002. His efforts to incorporate digital takeoffs allowed the staff to do construction takeoffs in half the time, giving them more time to review projects and submit proposals faster. In addition, his leadership in creating the company’s presence on Twitter, Facebook, LinkedIn, and Yelp, has given the company more exposure. While Marmol Export, USA was founded as a distribution wholesaler of natural stone in 1985, Aviñó saw opportunities to grow profits by increasing services. 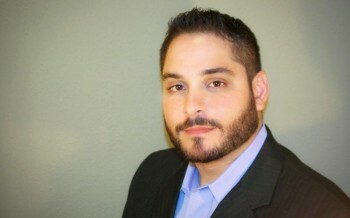 Soon he persuaded his father to incorporate turnkey contracting services. “Not only do we supply the product for a job, but now we offer services to fabricate, supply, and install the stone itself,” Aviñó explains. 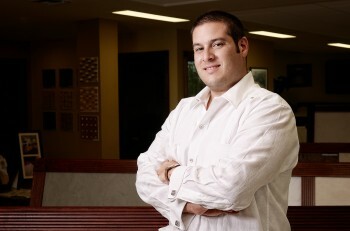 Later, Aviñó convinced his father to add a construction division to the company. In 2002, they received their first hotel contract, a five-star hotel in Fort Lauderdale, Florida. “This kick started our reputation in the business for the high-end work,” Aviñó says. The firm handled other hotel projects, each one bigger than the first. Today, Aviñó is planning for continued gradual growth and would like to see additional increases in the company’s construction contracting division, as well as the continued popularity of the firm’s European materials. He also entertains the idea of opening additional branches of Marmol Export, USA as part of the company’s expansion. Paco Consentino founds company with his brother, Eduardo, in 1979. Today, Paco’s son, Eduardo Cosentino, spearheads initiatives to keep the brand relevant for modern consumers. After Eduardo Cosentino’s father appointed him CEO of Cosentino North America, the world leader in quartz surfacing, in November 2010, he quickly began making plans to take the US operation to the next level, specifically in regards to developing both existing and new team members. Cosentino is leading efforts to implement lean-manufacturing procedures in both the fabrication and distribution sides of his business. In addition, he is spearheading initiatives to make his brand relevant to consumers by focusing on point-of-purchase initiatives, product integration, strategic advertising campaigns, and social-media efforts. The company’s latest development of recycled surfaces, ECO, has also allowed Cosentino North America to reach the growing green market. These Hispanic entrepreneurs are not only sustaining the vision of their parents, but are also strengthening their family businesses so that they will benefit generations to come. Cosentino says he is proud of the relationships that he has built with colleagues from different professional backgrounds that have been extremely beneficial for his business.